Are we still feeling the effects of Operation Ajax - the code name of a covert Anglo/American operation in Iran to re-instate an ousted monarch? What are the results? Are we still having to cope with the aftermath? The most obvious result of Operation Ajax, launched 55 years ago in Iran, is a steady erosion of authority. It can be observed inside Iran, and internationally. The undermining of authority in Iran led to the Islamic Revolution 26 years later and lack of contentment on individual and social levels. Today the Iranian nation is aware and will not tolerate tyranny. In the United States, the undermining of authority has been manifested differently. An initial headiness, a desire to overthrow more countries and control the fate of more nations has given way to a sense of regret - but only because they do not now control Iran; the rancor remains. What happened back in August 1953? A government elected by the Iranian people was shattered. A coup d'�tat was plotted and carried out by SIS and CIA spies and army officers. 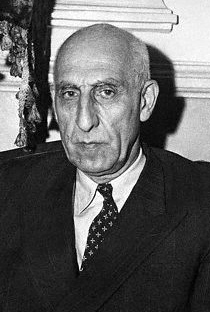 Operation Ajax, the code name of the mission, was to bring Prime Minister Mohammed Mosaddegh down at any cost and to re-instate the shah. Why did the US and UK feel the need to intrude? For years, Iran's petroleum had been controlled by the British, not the Iranian government. British Prime Minister Winston Churchill could not tolerate the nationalization of Iranian oil. The British government decided to cajole America into doing the dirty work, which they believed would reverse the chain of events. Britain would be restored to her rightful Iranian oil. However, President Truman refused to play ball. London had to bide it's time until General Eisenhower was elected President. This military man saw the benefit in deposing the elected Iranian civil government. Thus, it was oil that had set off such a chain of events, but what are the lasting effects - what is the aftermath? Some say the Islamic Revolution in 1979 is a direct effect of the coup d'�tat in 1953. The Iranian people witnessed the seemingly all-powerful shah flee the country, not to return until his masters said it was safe. 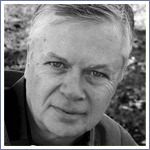 In a 2004 interview titled 'How to overthrow a government', Stephen Kinzer, a New York Times reporter and author of All the Shah's Men: An American Coup and the Roots of Middle East Terror, retells a part of the coup: The shah is in Rome and is being called upon to return to his throne. "He went into a form of shock, the color drained out of his face and his hands started to shake. When he could finally regain his composure, he said: 'I knew it. They love me.'" Even though he ruled the country for more than a quarter of a century after that incident, contempt for him had rooted and begun to grow in the hearts of Iranians. A good king or ruler is loved by his people. A just king is cherished. Even a tyrant is feared. When there is no love for - or hope in - the ruler, and such an event diminishes fear, impossible things begin to seem possible. The aftermath of the Iranian coup d'�tat in 1953 has been the undermining of authority. According to Jacob G. Hornberger, founder and president of The Future of Freedom Foundation, "The coup, in essence, paved the way for the rise to power of the Ayatollah Ruhollah Khomeini." He continued, "U.S. officials, not surprisingly, considered the operation one of their greatest foreign policy successes - until, that is, the enormous convulsion that rocked Iranian society with the violent ouster of the Shah and the installation of a virulently anti-American Islamic regime in 1979". Experiencing the downfall of any government has a psychological impact on an individual and society. If it happened once it can happen again - can't it? The shah was an untouchable figure that previous generations hadn't dreamed of complaining about, much less thought of bringing down. 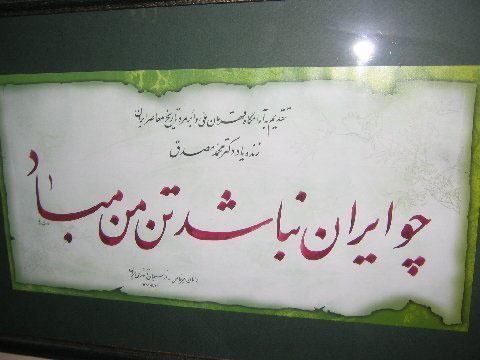 The undermining of authority had a negative effect in all sections of Iranian society. The perspective of a nation that has been ruled by monarchy for more than 2500 years has changed. They want to participate in every move and be informed of every detail. This awareness has definite advantages and will hopefully prevent undue influence by outsiders and attacks of opponents. For the United States, the aftermath has also been an undermining of authority. Originally Operation Ajax was viewed as a triumph of covert action, but now it is considered "a haunting and terrible legacy" (Kinzer 2003). Such a covert action at the time seemed to be a cheap and effective way of shaping the course of world events. Washington thought it had gotten what it wanted. Did it want an Islamic government in Iran? The major role the United Stated played in the 1953 coup d'�tat resulted in the occupation of the U.S. Embassy in 1979. This was a preventative move. The CIA and the US government had to be contained. Why should Iranians trust such a government after it had turned their world upside down within living memory? What would stop the British and Americans from doing it again? So the aftermath for the United States has not only been an undermining of authority, but the creation of a lack of trust and even animosity on the part of Iran. In 2000, US Secretary of State Madeleine Albright almost apologized to the people of Iran. "In 1953 the United States played a significant role in orchestrating the overthrow of Iran's popular Prime Minister, Mohammed Mossadegh. The Eisenhower Administration believed its actions were justified for strategic reasons; but the coup was clearly a setback for Iran's political development. And it is easy to see now why many Iranians continue to resent this intervention by America in their internal affairs." Words are not enough. Iran needs to see positive action in order to lay the past to rest. History cannot be rewritten; the facts cannot be changed. The United States should own up to its mistakes and come to terms with the fact that Iran is not the country it was in 1953. Today, Iran is a global player. A long-term result for the United States was that it went into the regime-change business. Guatemala, Chile and South Vietnam were the next CIA adventures. It is probably not a myth; the Agency most likely could topple governments anywhere in the world. At any rate, the United States should not be wearing its heart on its sleeve for a second chance in Iran.